Includes: a one-piece dress with blue top attached red cape and metallic red skirt. Does not include shoes or bootcovers. 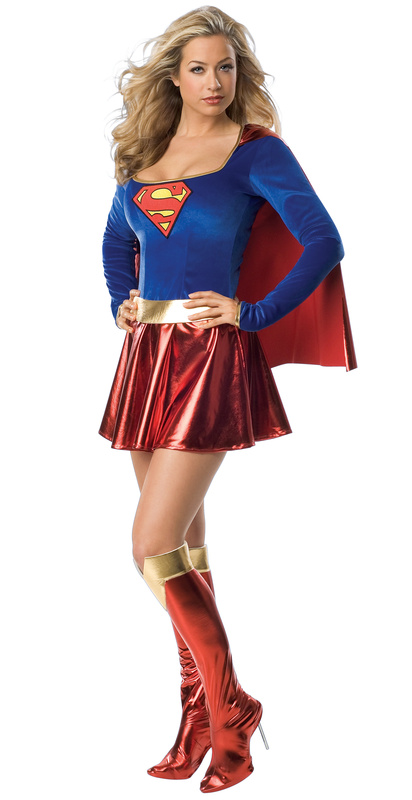 This is an officially licensed Supergirl costume. Pretty girls deserve an impressive costume of an iconic character like powerful Supergirl. She is super tough and won't mind punching bad guys as she is a real Supergirl with thundering powers. She is ready to fight against injustice and stand beside Superman for big missions. Do you aspire to be the show stopper of your costume party? Stop looking for the right costume as you have come at the right place. Look cool among your friends in our Supergirl Deluxe Adult costume.